Neuroscience offers key insights to organisations facing change about how to create an environment of trust in the workplace so that staff can perform, writes Cynthia Mahoney. Transitioning to the NDIS is thrusting many organisations into fast-paced change that is Volatile, Uncertain, Complex and Ambiguous (VUCA change). In an environment where so much is unknown, what can leaders do to ensure their staff stay engaged and keep performing? Neuroscience offers key insights to organisations facing change about how to approach leadership development and change management and develop high-performing teams. Did you know that every conversation we have evokes either trust or mistrust? The brain processes these two responses separately, in two different areas. Mistrust triggers the lower, more primitive brain (the amygdala) and activates a threat response. Trust activates higher-level intelligences (via the prefrontal cortex) such as integrity, empathy, and good judgement. The amygdala is responsible for the actions of fight, flight, freeze or appease and once activated (when we mistrust) cortisol is released, our brain goes into lockdown, our access to the higher thinking part of our brain is limited and we are unable to engage with others. We actually can’t think properly. This results in lower productivity, lower innovation and lower success. On the other hand, when we access our pre-frontal cortex, via a feeling of trust, oxytocin is released. The prefrontal cortex enables us to collaborate with others, have good judgement, be strategic, handle difficult conversations, and build and sustain trust. If we are in environments of mistrust we are operating out of the emotional part of our brain and this may limit access to our brain’s higher thinking ability – the outcome is that our performance is impeded. You can imagine the difference in an organisation’s performance if people at all levels have the skills to create environments of trust. The question for leaders is – how do you create an environment of trust in your workplace so that your staff can perform? In my leadership and coaching program that I’ve recently run with an organisation transitioning to the NDIS, I’ve been incorporating the work of organisational anthropologist, Judith E. Glaser, who uses her knowledge of neuroscience to help people across the globe develop the skills to have better conversations, build stronger relationships and improve performance in the face of complex change. Here’s a checklist, based on Judith Glaser’s work, that you can use to evaluate your organisational or team culture or even to reflect on your own behaviour. How do you, your team or organisation perform against these behaviours? Imagine if everyone in your organisation was empowered and supported to develop their leadership capability and then brought that capability and attitude to work every single day, how would things be different? What could be achieved? Consider how this would impact on your organisation’s performance, processes, teams and people when navigating complex change like the NDIS. In times of radical change, which many organisations are experiencing as “the new norm”, you can see that there is potential for staff in different parts of the organisation to feel excluded from decision-making or information, or that they are having change imposed and have limited choices, for example. The result is an environment of mistrust and high stress with staff operating out of their amygdala. They are limited in their ability to access the higher functioning part of their brain that would enable them to consider new ideas, change their perspective and potentially get on board with the change. How are change programs, communication and engagement programs or even team meetings designed and executed in your organisation? What could you do in leading change to up-regulate oxytocin by adopting strategies and behaviours that include listening to understand, transparency, appreciating, sharing success, developing ideas with your staff etc.? responding to someone else’s idea with: “No, that will never work.”? If so, your interactions with others could be creating mistrust. You have an opportunity for growth here. As a leader in your organisation, are you creating a “brain friendly” workplace? Are you being a “neuroleader”? I encourage you to experiment by identifying three simple changes you could make to your own behaviour, or in the work environment, that utilise these valuable lessons from neuroscience about building trust. It might be to listen more, to spend time at the start of a team meeting checking in with how everyone is doing, it might be asking someone’s opinion rather than telling them what to do. Have a go and see what happens. Creating environments of trust, particularly in times of VUCA change, is a smart business choice for leaders – the results are high performance and more engaged staff. 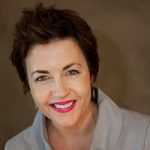 About the author: Cynthia Mahoney is the director of Cynthia Mahoney and Associates, a leadership development practice offering facilitation, coaching, mentoring and training to help people, teams and organisations make positive change and achieve professional and personal success. To connect with Cynthia email cm_associates@live.com.au, visit her website or call 0427 622 654. Cynthia Mahoney is the director of Cynthia Mahoney and Associates, a leadership development practice offering facilitation, coaching, mentoring and training to help people, teams and organisations make positive change and achieve professional and personal success.